If you haven’t read, She Belongs to Me, readers who adore J.D. Robb/Nora Roberts, Iris Johansen, and Nicholas Sparks have loved it. 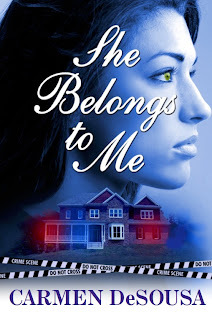 In fact, She Belongs to Me has been neighbors with all these great authors on Amazon’s ‘paid’ bestsellers in romantic-suspense and has 40+ reviews averaging 5-stars. Below is a brief summary of this romance/mystery and a deleted scene—an archived email that the protagonist, Jaynee, was writing before her…er…um…incident. To find the answer, all you have to do is download the book, and the great news is She Belongs to Me is only .99 cents through Christmas.